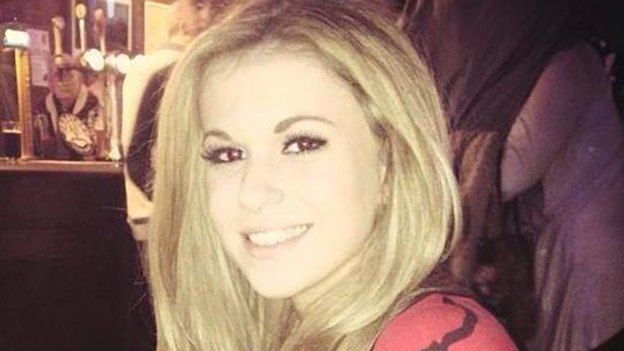 Alton Towers crash victim Vicky Balch has become the second casualty to have her leg amputated. The 20 year-old dancer underwent a gruelling round of surgery to remove her right leg below the knee after surgeons battled to save it. Vicky was one of 16 injured when the theme park’s Smiler ride crashed into an empty carriage in front of it on June 2. She was sitting on the front of the ride alongside Leah Washington, 17, who has has already had to have a leg amputated. Several others suffered serious leg injuries. Miss Balch’s lawyer Paul Paxton told the BBC: “Vicky has had a long and incredibly painful fight to retain her leg. Regrettably, her bravery has not been rewarded. Speaking previously to the BBC, Vicky revealed she felt “excruciating pain” after the collision and was left covered in blood. Vicky was one of four people on the front of the ride at the Staffordshire theme park when it crashed into an empty carriage. University of Derby student Vicky said: “It felt like slow motion. We banged into the car in front. “I felt the bars go into my knees. We moved backwards and the car went into us again. I passed out. “I was awoken by Dan shouting my name. All 16 passengers were left stuck on the ride for four-and-a-half hours as firefighters reached them using a hydraulic lift. Vicky, who was at the park with boyfriend Daniel Thorpe, 27, said: “The only thought that was going through my mind for the hours and hours that we were stuck was that we were going to die. “If I was going to survive I would never walk again, that was certain. “I thought it was never going to end.